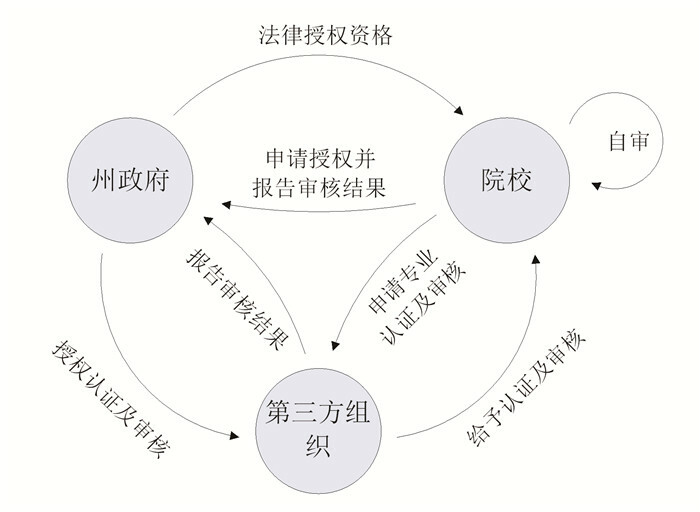 图 2 认证机构对新增学位项目审核过程示意图 信息来源：REVISED SUBSTANTIVE CHANGE MANUAL:A Guide to Substantive Change Policies and Procedures 2013[EB/OL].[2017-08].http://www.wascsenior.org/resources/subchange. 全国学位与研究生教育数据中心. 中国学位与研究生教育发展年度报告2015[M]. 北京: 高等教育出版社, 2016: 188. 陈学飞. 美国高等教育发展史[M]. 成都: 四川大学出版社, 1989: 11. 王建成. 美国高等教育认证制度研究[M]. 北京: 教育科学出版社, 2007: 55. American Association of Universities-history[EB/OL]. [2017-05-18]. http://education.stateuniversity.com/pages/1775/Association-American-Universities.html. 黄福涛. 外国高等教育史[M]. 第二版. 上海: 上海教育出版社, 2008: 268. Matthew W. Finkin. Who watches the watchman?-Thoughts on the Federal Relationship to Accreditation in Higher Education[A]. Washington D. C. : Council for Higher Education Accreditation, 2009. PUBLIC LAW 110-315110th Congress. HIGHER EDUCATION OPPORTUNITY ACT[A/OL]. (2008-08-14)[2017-06-02]. http://www.gpo.gov/fdsys/pkg/PLAW-110publ315/pdf/PLAW-110publ315.pdf. Berkeley Campus Review process guide for academic Programs and units, table of contents[EB/OL]. [2017-06-05]. http://opa.berkeley.edu/academicprograms/ReviewProcessGuide.pdf. REVISED SUBSTANTIVE CHANGE MANUAL: A Guide to Substantive Change Policies and Procedures 2013[EB/OL]. [2017-08-20]. http://www.wascsenior.org/resources/subchange. Judith S. Eaton, Accreditation and Recognition in the United States[EB/OL]. [2017-09-01]. http://www.chea.org/pdf/AccredRecogUS_2012.pdf. SUBSTANTIVE CHANGE MANUAL: A Guide to Substantive Change Policies and Procedures 2012[EB/OL]. [2017-07-20]. http://wascsenior.org/files/2012_Substantive_Change_Manual.pdf. livetext: Sample: 2011-07 final: SDSU-DPT[EB/OL]. [2017-11-02]. https://www.livetext.com/doc/8448812/38957288. 赵世奎, 等. 美国博士教育的规模扩张[M]. 北京: 北京大学出版社, 2016: 95-97. Abstract: In the academic degree authorization assessment system in the United States, a third party independent of governments and high-learning institutions takes not only the professional assessment in which it plays a professional quality "benchmark" role, but also the duty and responsibility for the academic degree authorization inspection, the assessment, and the assessment result it issues. Judging from the development of the academic degree authorization assessment system in the United States, the authors find that mature academic degree authorization assessment system is inseparable from government, higher-learning institutions and a third party, particularly the assessment and supervision of the third party. 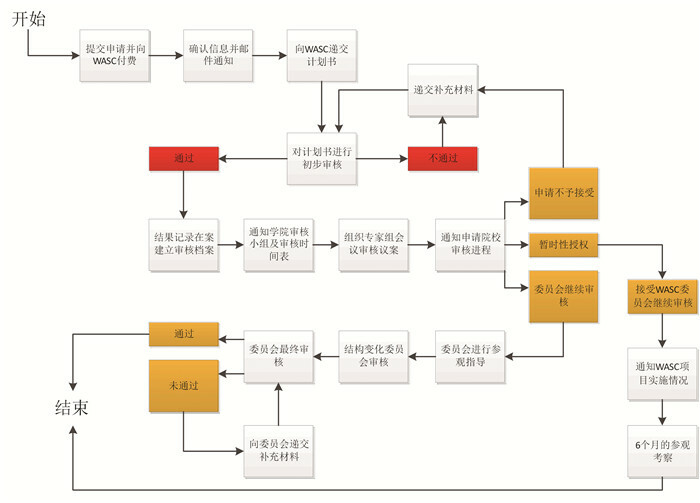 Judging from the participating path of the third party, the authors find that the third party's participation in the assessment has been authorized by law that also establishes the right for it in assessment, authentication and supervision. Judging from the practice and experience of the third party in participation in the assessment, the authors find that it mainly carries out classified grading assessment, the results are presented in a gradient manner and the assessment contents give more concern to the interests of students.